In the day, the snowman is proud and tall… but next morning, he’s not the same at all! His body droops, he looks a fright. Really – what DO snowmen do at night? Do they slip and slide around the park? Or wait till it gets really dark – and then all line up in their places, taking part in snowman races? 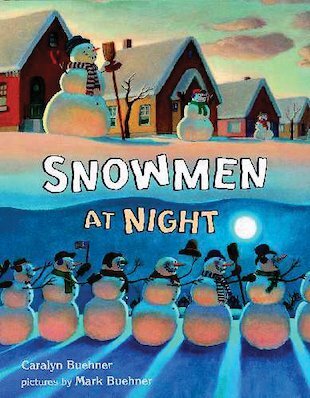 In beautiful moonlit pictures and jolly rhyming text, this whimsical picture book answers the timeless question of why those cheeky snowmen so often look a bit of a wonky mess by the next day!